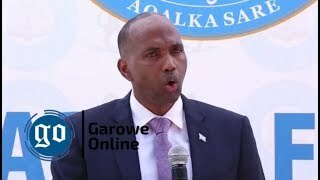 MOGADISHU, Somalia - The Federal Government of Somalia has on Thursday freed a former Presidential candidate, Abdirahman Abdishakur Warsame after three days in prison, Garowe Online reports. 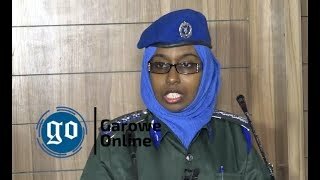 Warsame's release came after Benadir regional court found him not guilty of treason charges, according to judge Aweys Sheikh Abdullahi, who announced the final verdict and further ruled out any appeals. 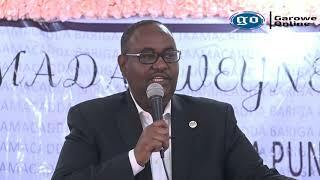 Meanwhile, the Attorney General Ahmed Ali Dahir who accused the freed ex-minister of receiving funds from foreign country to unseat President Farmajo has rejected the court ruling as 'unconstitutional'. On Tuesday, Warsame has appeared in the court, but the judge has postponed the trial to Thursday after the prosecutor failed to provide enough evidence supporting the charges against the defendant. 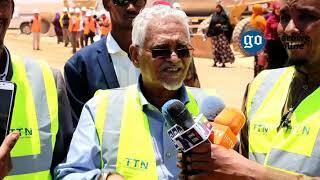 He says will seek justice against his illegal arrest and three-day detention through legal means, calling on Somali Parliament to hold accountable officials who branded him as criminal and treason. The influential politician is a fierce critic of the government. 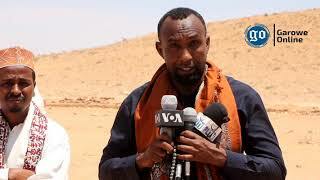 He has been detained following a deadly raid against his residence near Mogadishu Airport, which killed at least six of his bodyguards, Dec 18. 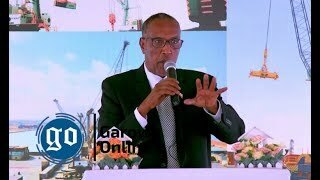 Warsame has run for Presidency in February 8 ballot vote won by current President Mohamed Abdullahi Farmajo, a dual US-Somali citizen and held several high-ranking positions in the past governments.